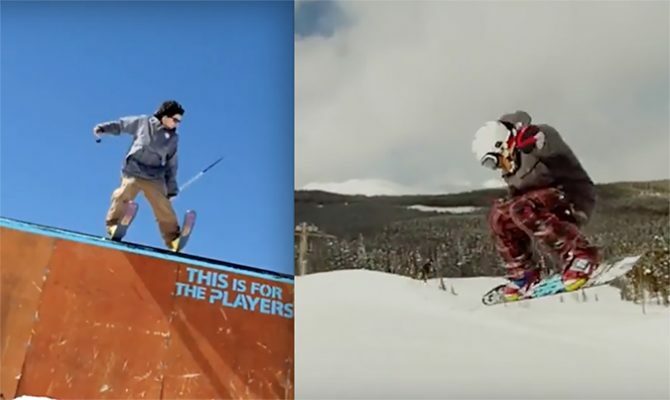 Professional snowboarder Benjamin Adam Miles and professional skier Julian Edward Abraham, who were busted for selling ecstasy, cocaine, and ice (methamphetamine) in Jindabyme, New South Wales, Australia, were sentenced this week. After pleading guilty to several drug-related charges, they’re both looking at temporary retirement. Miles, 25, and Abraham, 26, who both grew up in Oz, made off with $300,000 of drug profits in July and August of the 2015 New South Wales snow season. Miles, founder of the Snowbones clothing brand, was sentenced to eight years, while Abraham is looking down the pipe at 4.5 years. It’s a little sad, too, as it sounds like both Abraham and Miles were talented riders. According to his social media account on Hookit.com, a site for pro athletes seeking sponsorship, Miles graduated with a degree in industrial design from the University of Canberra. “I love snowboarding with every part of my being and will die before I get an office 9-5,” he said. That 9-5 is probably sounding pretty good about now. The boys sold the drugs in large quantities, and were known to refer to each narcotic as a different fast food item when taking orders from customers – i.e. “cheeseburgers”, “drinks”, and “fries”. During his sentencing on Friday, Miles joked to the judge that if a customer ordered all 3, then they get a “meal deal”. It’s unlikely that Miles’ sense of humor helped him out. Abraham, an international freeskiing competitor, claimed that he had transported drugs from Canberra to Jindabyne and received all his payment in drugs to support his habit. The two athletes were arrested in the parking lot of a mountain train station. Abraham is due for release in February of 2017, but Miles is going to have to wait until February 2020 until he’s even eligible for parole. Both are getting a lesson in “powder” that’ll stick with them forever.